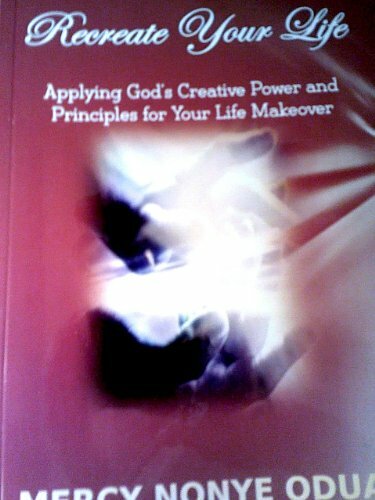 "Recreate Your Life" is a 7-day life makeover devotional. It teahes you how to apply God's creative power in your life through your spoken words, targeted prayers, and God's principles. Looking for the blessings of God? Do you feel like you are not yet where you are supposed to be in life? Find the truth and answers when you read this book. The inspiration for this book came to me when things were not going so well. Obstacles, set backs, depression, confusion, and sickness were just some of my sufferings. But God led me to the creation story and I realized how I systematically apply it in my own life. When I did this, I had a breakthrough. You too can experience a change and be where God wants you to be. The choice is yours to get this life changing material.